Have you ever wondered where classic table mustard gets its distinctive bright yellow color from? The answer is turmeric. While you may not initially recognize it by name, this spice makes some major behind-the-scenes appearances in food as an all-natural dye, a main component in curry, and an herbal anti-inflammatory prescription in modern-day medicine. With so many uses to flaunt, turmeric has slowly but surely been making the transition from backstage actor to star of the show in the ingredient world. Turmeric is officially known as Curcuma Longa, and historically as “Indian Saffron.” The latter is attributed to the fact that alongside Pakistan, India is one of the largest producers of the spice. The nickname came about when it was readily purchased in Medieval Europe, as a less expensive alternative to saffron. A member of the ginger family, turmeric grows as a horizontal root. While the whole root can sometimes be found in large supermarkets and specialty stores, it is most often sold in powdered form. Dug from the earth, boiled and baked, and then ground, the powder appears to be more orange than yellow but will turn anything it comes into direct contact with a golden hue. In some Far Eastern cultures, the turmeric leaves are also harvested and used to wrap and cook food in. Turmeric can also be sourced in supplement form, which people take for its therapeutic properties. The active compound in turmeric is curcumin, which is a workhorse when it comes to reducing inflammation, as it has a rapid and dramatic effect once consumed. Additional studies have shown it to be an antioxidant, antibacterial, antifungal, antiviral, and even anticancer agent. No matter which way you choose to ingest it, what more reason could you need to incorporate a daily dose of turmeric into your diet? At first bite, the taste of turmeric can be off-putting. The flavor is a tad bitter and has a kick to it, yet it’s not easily detectable when combined with other ingredients. The most popular way to experience turmeric is in curry, yet there are a myriad of other culinary uses for it. This spice pairs well with seafood, so why not make a simple preparation of turmeric, lemon, and sea salt, grilled with your favorite fish? You might think about swapping it out for the saffron in paella. Turmeric is a nice compliment to cinnamon, too, especially when roasted over root vegetables. If you would rather sip on something, try it in tea form. 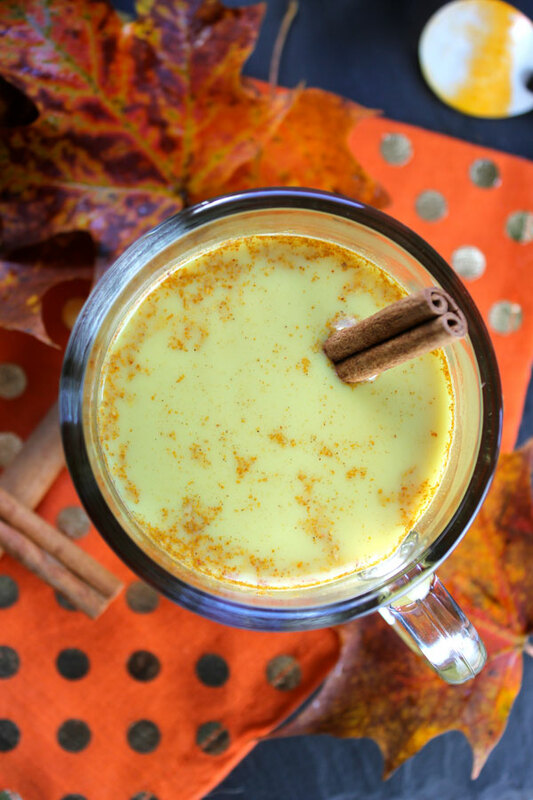 This beverage will warm you up from the inside-out on a cool fall day, and may even cure an ailment or two! Combine all ingredients in a saucepan, over medium heat, and cook just until the mixture begins to boil. (Optional) Strain the mixture, to remove any solids.